WASHINGTON — The 20 countries that make up the U.S. Central Command area of responsibility are as diverse and unique as any in the world, but they also present a vexing set of challenges, Marine Corps Lt. Gen. Kenneth F. McKenzie Jr. told the Senate Armed Forces Committee. SOUTHWEST ASIA — Combined Joint Task Force Operation Inherent Resolve and its partners continued to target the Islamic State of Iraq and Syria, conducting 11 strikes consisting of 12 engagements, Inherent Resolve officials reported. SOUTHWEST ASIA — The coalition will shift its focus in Iraq from enabling combat operations to sustaining military gains against the Islamic State of Iraq and Syria, Combined Joint Task Force Operation Inherent Resolve officials said. AL UDEID AIR BASE, Qatar — Deployed Air Force logisticians keep warplanes supplied with clean fuel to accomplish various missions. SOUTHWEST ASIA — U.S. and coalition military forces continued to attack the Islamic State of Iraq and Syria, conducting 63 strikes consisting of 102 engagements, Combined Joint Task Force Operation Inherent Resolve officials reported. 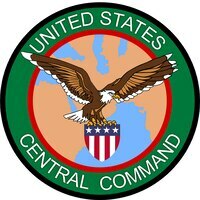 TAMPA, Fla. — Several key al-Qaida in the Arabian Peninsula leaders were killed in recent U.S. airstrikes in Yemen, U.S. Central Command officials reported. SOUTHWEST ASIA — The campaign to defeat the Islamic State of Iraq and Syria achieved its most significant progress in 2017, and the Combined Joint Task Force Operation Inherent Resolve looks forward to further success in 2018, coalition officials said.